We provide all our services to the highest standards. In this ever-changing industry we realise the need to constantly study new breakthroughs and technologies to ensure that our patients are getting the best treatment at all times. 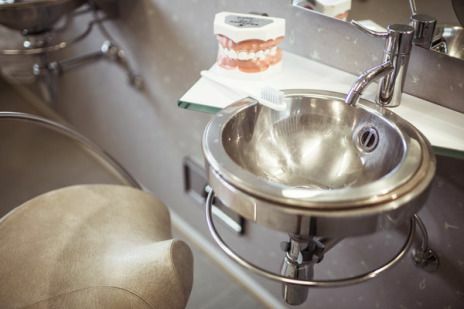 We do what we can to provide you with a quality finish but once you’ve left our care, it is important that you continue to look after your dentures. It can take some time to become acclimated to your new dentures. The first couple of weeks will require you to eat soft foods, gradually introducing harder foods into your diet over time. It is perfectly normal to experience some minor discomfort during this initial stage as you adjust to your new dentures. Your dentures will need to be kept clean, brushed twice daily with a denture toothbrush and toothpaste. This will keep them clean and prevent them from staining over time. Keeping your dentures in water over night keeps them from warping and allows your gums to breath. For more information on denture care, get in contact with Dental Design Studio today. We also have a particular interest in relation to clients who have a fear of impression taking procedures, and clients who have had previous negative experiences in achieving a positive Denture outcome.